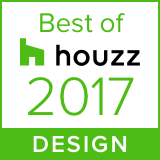 Explore some of our award-winning custom home floor plans or schedule an appointment to begin designing your perfect home. 4bd – 3.5ba / from 3161 sqft. 5bd – 4ba / from 3419 sqft. 4bd – 3.5ba / from 4438 sqft. 4bd – 3.5ba / from 3201 sqft. 4bd – 3.5ba / from 3088 sqft. 2bd – 2.5ba / from 3394 sqft. 4bd – 4.5ba / from 3802 sqft. 4bd – 3.5ba / from 3383 sqft. 4bd – 3.5ba / from 2152 sqft. 4bd – 3.5ba / from 4737 sqft. 1bd – 1.5ba / from 2369 sqft. 2-3bd – 2.5ba / from 2276 sqft. 3bd – 2.5ba / from 2854 sqft. 3bd – 2.5ba / from 2006 sqft. 5bd – 4ba / from 5241 sqft. 2-3bd – 2.5ba / from 2132 sqft. 2-3bd – 2.5ba / from 2869 sqft. 4bd – 4.5ba / from 3871 sqft. 4bd – 3.5ba / from 4949 sqft. 5bd – 4.5ba / from 3357 sqft. 4bd – 3.5ba / from 2903 sqft. 4bd – 3.5ba / from 3004 sqft. 4bd – 3.5ba / from 4269 sqft. 2-3bd – 2.5ba / from 2778 sqft. 4bd – 3.5ba / from 3184 sqft. 4bd – 3.5ba / from 4759 sqft. 2bd – 2ba / from 1850 sqft. 3bd – 2ba / from 1920 sqft. 4bd – 3ba / from 2430 sqft. 3bd – 4.5ba / from 4276 sqft. 4bd – 3.5ba / from 4276 sqft. 3bd – 3ba / from 3651 sqft. 2bd – 2ba / from 1870 sqft. 3bd – 2ba / from 1960 sqft. 2bd – 2ba / from 1960 sqft. 4bd – 2.5ba / from 3186 sqft. 4bd – 3.5ba / from 3162 sqft. 3-4bd – 2.5ba / from 2579 sqft. 4bd – 3ba / from 1826 sqft. 4bd – 3.5ba / from 3058 sqft.